Knock! Knock! Who Was There? (Who Was?) (Paperback) | novel. Over 300 side-splitting jokes based on the New York Times best-selling series. If you want to know exactly why Milton Hershey's wife married him, look no further. (Because she wanted lots of Hershey's Kisses!) 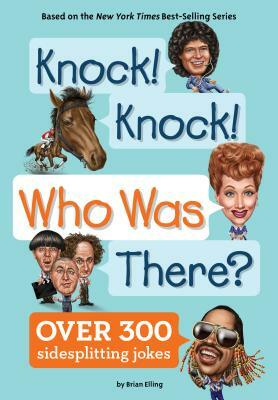 This hilarious and original collection of jokes featuring all the subjects of the ever-popular Who Was? series will keep kids laughing right through history class! Q: Why did Betsy Ross wear long dresses? A: To cover her colo-knees! Q: Which playwright is also a great cook? Q: Which president liked lasers? Brian Elling is a writer living in Los Angeles, California.